The potential sale of Ryan Gauld shows that Scottish football is progressing. With the sale of James McCarthy in September 2013 for £2 million there were thoughts of ‘oh a small club with 1 good player’. But no, the mistake people make is they assume because the league is small there is no quality or the lame excuse ‘its a two club league’ (Celtic/Rangers). Having watched the demise of Hearts and Hibernian, then the takeover of both clubs you can see there is a new club style in Scottish football. ‘Craig Levein will join the club with immediate effect and will assume total responsibility for everything to do with the playing side of the business. He will be responsible for putting in place an end-to-end strategy for how we are going to implement a youth-driven playing policy within the club’. (12.05.2014, http://www.heartsfc.co.uk). Leeann is also keen to ensure that the Hibernian Academy enhances its efforts to produce talented footballers who can progress through the ranks into the First Team Squad. Why are these statements good: This is good news for Scottish football lower playing staff budgets equals better financing, But will also mean improvement for the national team as there will be better quality to choose from in there own domestic leagues. But it will also make the league much more competitive; example of this is the teams in the championship Hibs, Falkirk, Hearts and Rangers. Ryan Gauld: The way Gauld glides by tackles and challenges it is easy to see why the comparisons are being made as ARabz(Dundee United fans) have called him baby Messi!He has natural close control and balance. Gauld loves running at defenders and attacking in the final third. For me Gauld is the most technically gifted attacking midfielder’s in the SPFL, he reminds you of a player who should be playing in Spain because of they way he likes ball to feet. So is the transfer to Sporting Lisbon too early? No, if he transfers to Lisbon he will only improve and will show his talent playing in European Competitions. Is this bad for Dundee united? No, not in anyway like Hamilton did when James McCarthy was poached from there grasp they invested back into their academy. But for Dundee, it shows that they’re getting the recognition they deserve with a small budget. Chairman Les Gray said: “It will allow us to invest in our infrastructure. It will also allow us to get some money back that the directors put in for our synthetic pitch which helps develop our young players. “Overall, the money will be invested in the club over the long term and make sure Hamilton Accies are financially stable and secure. 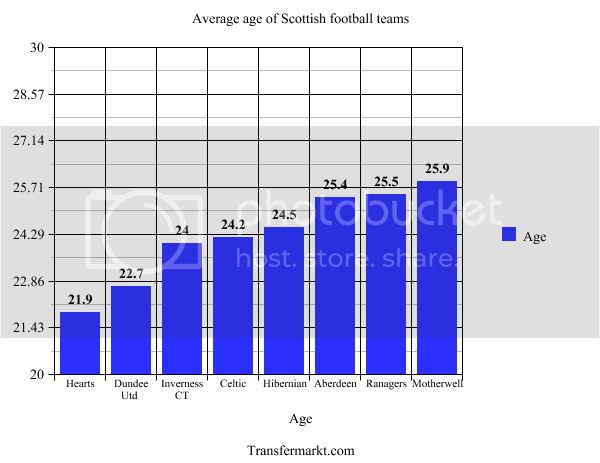 So why are the next best Scottish youngsters playing in the Scottish league? My outcome: By clubs like Aberdeen, Dundee united winning cups, but also winning with younger squads shows me that the Leagues are on the up , But also player personal is getting better with more options available at home. Who will challenge Celtic??? Aberdeen and Dundee united.